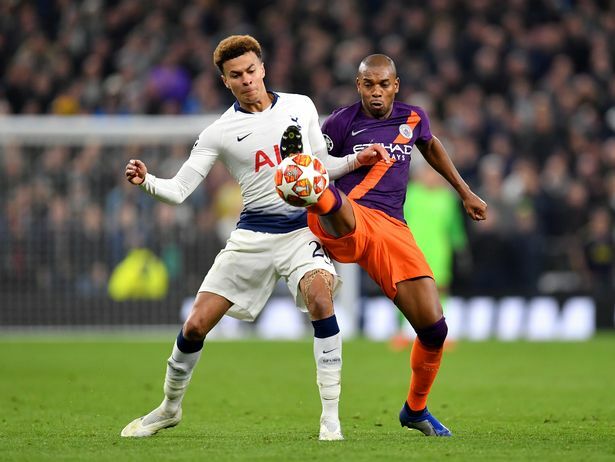 Tottenham have been handed a huge boost ahead of the Champions League quarter-final second leg with Manchester City. Spurs hold a slim advantage over City heading into the second leg at the Etihad on Wednesday night. A Son Heung-min strike late on at Tottenham Hotspur Stadium on Tuesday night handed Mauricio Pochettino’s men a one-goal lead in their last eight clash. City boss Pep Guardiola was criticised for his team selection on the night in N17, with Fabian Delph utilised at left-back and Kevin de Bruyne and Leroy Sane left on the bench until the 89th minute of the contest. The 33-year-old was part of the team that lost that first leg clash in N17 on Tuesday, and he would be one of the first names on the teamsheet for the return – if he is fit.